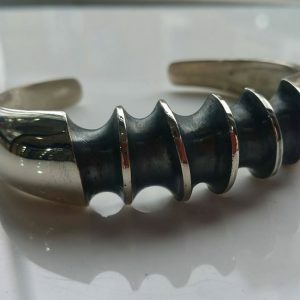 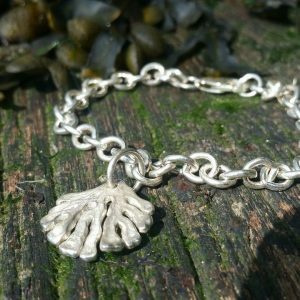 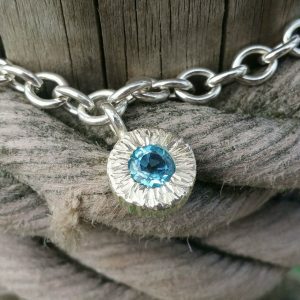 Rob Morris himself wears this design every day and has done for many years – testament to the strength of the magnet in the core of the solid silver clasp! 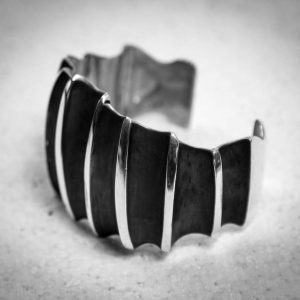 It’s a fantastic and masculine piece, beautifully hewn and machined with great precision – simply order and drop us an email with the size of wrist and Rob will create your bespoke wristwear! 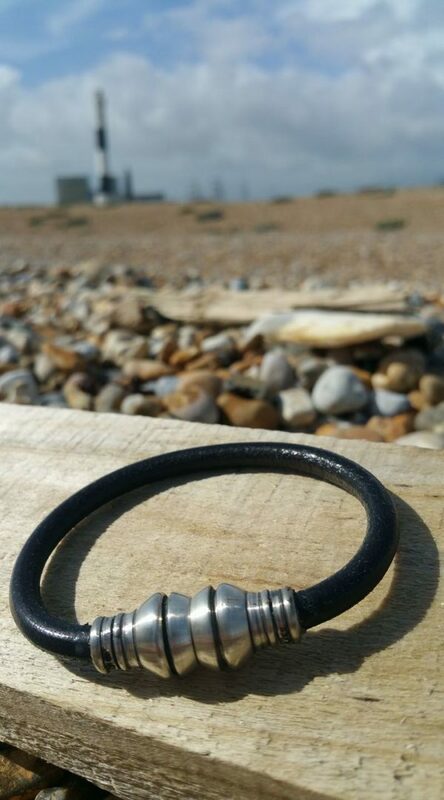 The hallmarked silver is 35mm across and 13mm in diameter at its tallest, it is attached to incredibly high-quality German-made 6mm leather, the grooves are oxidised to create a dramatic dark contrast to the highly polished silver.